Yay! I got caught up for one of the challenges that I participated in. I know it's not "mandatory" to do all the prompts but it really irks my nerves when I don't lol. The theme for the WNAC January 2017 is Iridescence but because I don't own many iridescent polishes I had to improvise but I still love the final result. Keep reading for more! Okay so, to be honest, I had gotten wayy ahead of myself, picked out my colours and got started on my gradient. Only when I finished the gradient did I remember that the theme for the month was iridescent. I went through my stash and found this pretty topper that I hadn't used in ages and figured it would be perfect and it was! And here's a split macro of this mani glossy and matted! I envy you ladies who can always get this to line up perfectly lol. 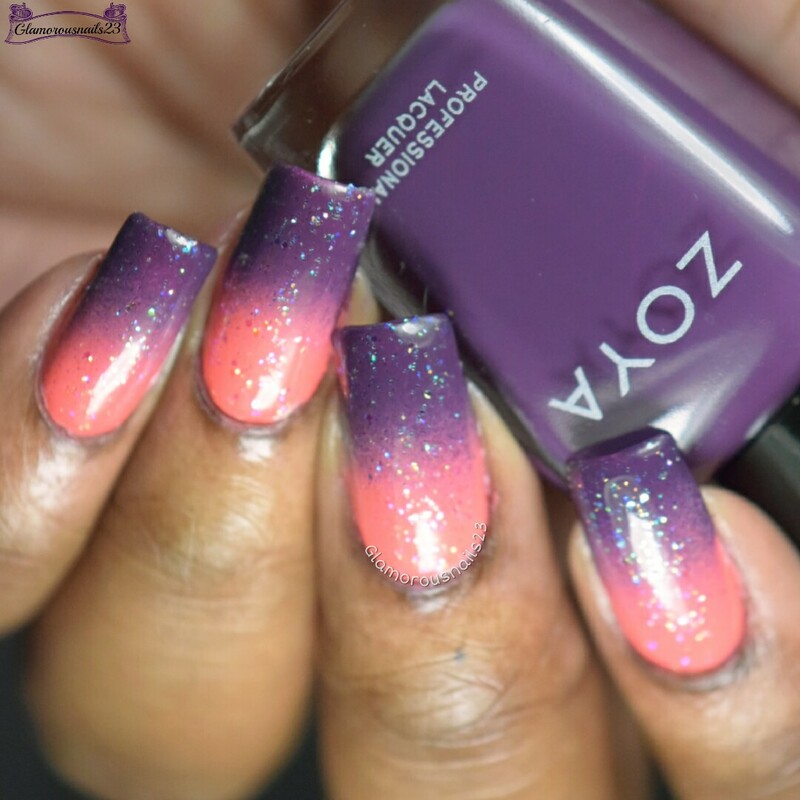 Did you get a chance to participate in any nail art challenges this month? Will you be participating in any next month? I never would have thought to put these colors together, but they're gorgeous! 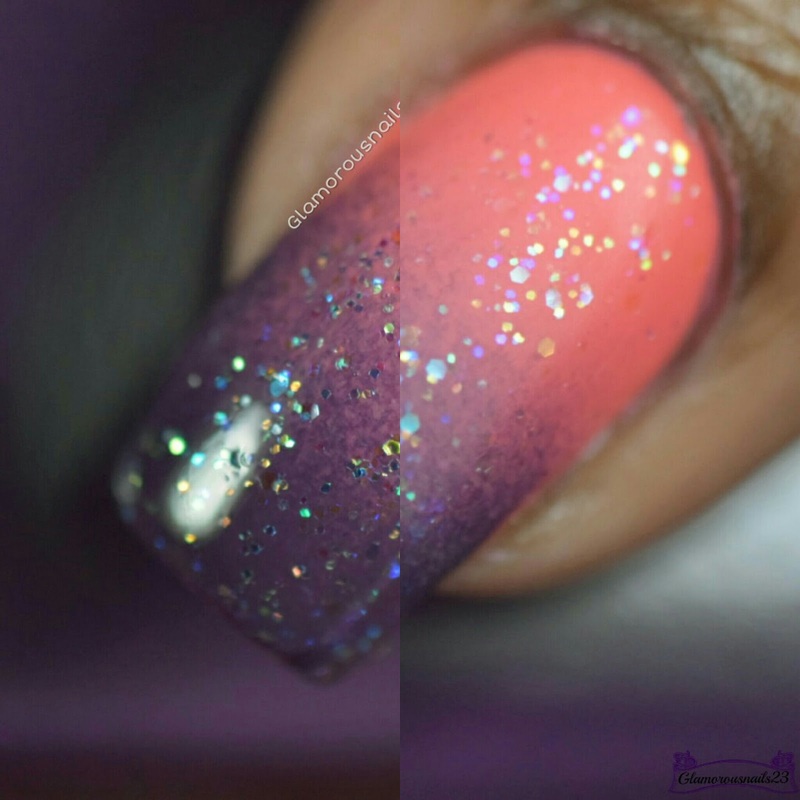 Iridescent glitter all the things! Seriously. I can't get enough of those glitters. I thought this was a thermal when I saw the thumbnail (ignore the fact that I completely didn't even see the title, haha). These are gorgeous! 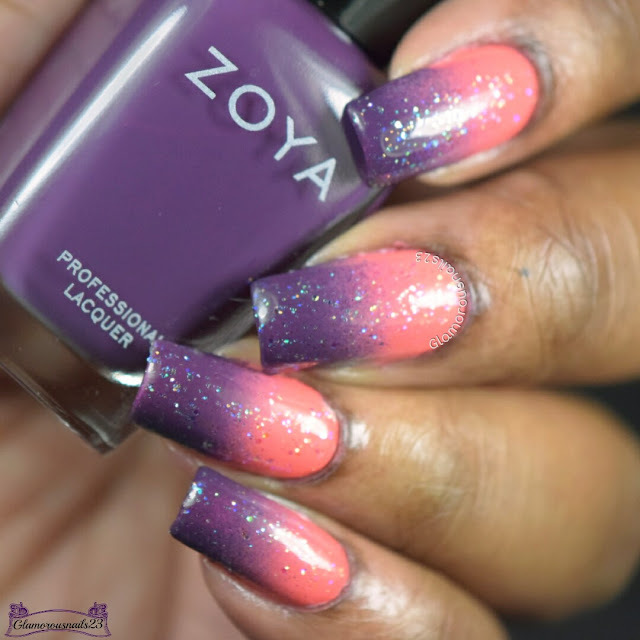 I'm a sucker for a pink to purple gradient! I love the sparkles on top of it! Ha! It's okay I've done things like that before too. Thanks Jenalyn! Thanks Courtney! Would you believe that I've had the glitter topper for two years and forgot about it lol. 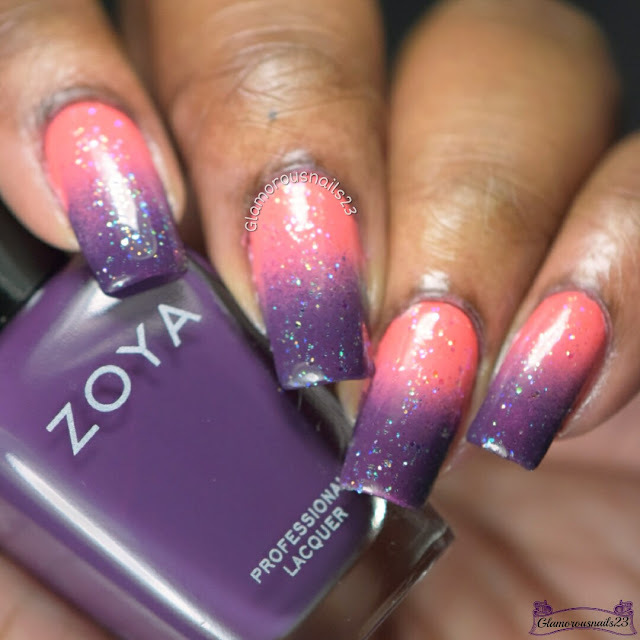 Beautiful mani and gradient! You got me thinking and I now have to search for irridescent polishes in my stash! I love this, especially the matte version! This really cheers me up after all of the dark colors I'm so overloaded with lately. Thanks Jenny! I know exactly what you mean. Thanks so much! I clearly need to purchase more lol.